Linköping, Sweden and Shelton, CT – January 31, 2019 – International medical imaging IT and cybersecurity company Sectra (STO: SECT B) continues to be the #1 rated PACS and is awarded the prestigious customer satisfaction award ‘Best in KLAS’. 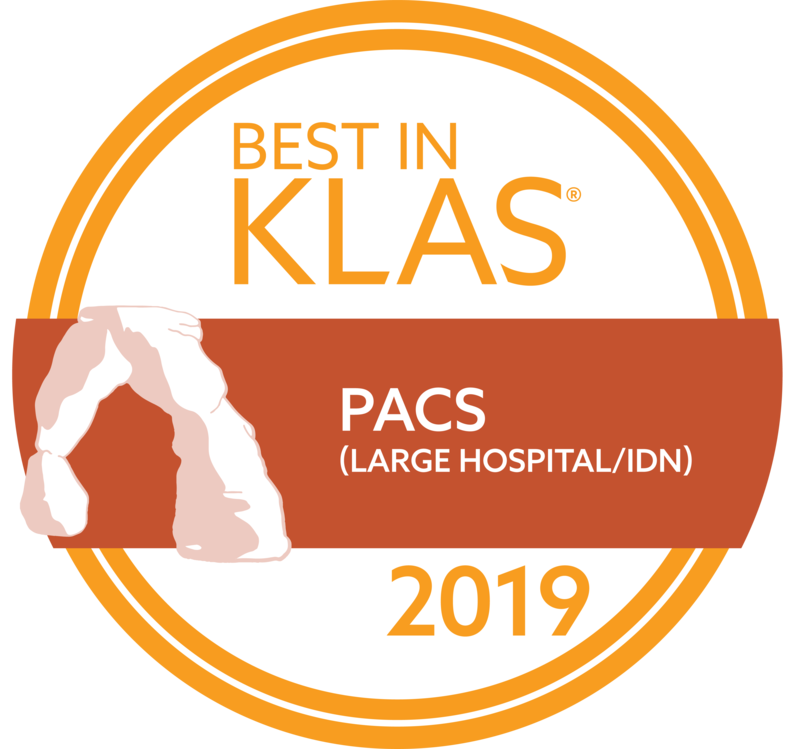 For the sixth continuous year, Sectra has been named ‘Best in KLAS’ in the US for PACS (Large Hospital/IDN) with a score of 94 out of a possible 100. The distinction is given by the healthcare IT data and insights company KLAS Research. With an increasing number of VNA customers, Sectra is also included in the report in the VNA Image Archive category*. “We are dedicated to contributing to improving the effectiveness in healthcare, and happy users are the ultimate proof that Sectra’s staff and solutions achieve that in the best possible way. I am thankful and honored to be acknowledged for our top ratings in customer satisfaction,” says Dr. Torbjörn Kronander, President and CEO of Sectra. The first Sectra PACS was installed in 1993 and today, the company has 1,800 installations worldwide. Sectra PACS is an integral part of Sectra’s enterprise imaging solution comprising VNA and spans image-intense departments such as radiology, breast imaging, pathology, orthopaedics, and cardiology. “When we call the help desk, 90% of our problems can be solved by the person who answers the phone. That is very nice. Sectra's staff members are very knowledgeable and jump right in. Support is definitely the best thing with Sectra,” says US Analyst/Coordinator, December 2018, KLAS Research**, https://klasresearch.com/comments/sectra-pacs/1814. “We have had Sectra PACS for many years, and we could not be happier. Our radiologists have seen numerous PACS products, and they feel that Sectra PACS is by far more functional and easier to use than other products. We have radiology technicians who work at other hospitals part-time. They feel that no other system even compares to Sectra PACS,” says US Manager, November 2018, KLAS Research**, https://klasresearch.com/comments/sectra-pacs/1814. Sectra’s enterprise imaging solution, including Sectra PACS and Sectra VNA, will be showcased at the HIMSS and ECR trade shows. Visit us at booth #1079 at HIMSS and #D11 at ECR to learn more about our solutions. * Sectra was included in KLAS’ “Below Konfidence category” because fewer than 15 interviews were conducted. KLAS Konfidence is a measure of sample size. ** Selected commentary about Sectra PACS collected 2018. For a complete view, visit www.klasresearch.com and https://klasresearch.com/best-in-klas-ranking/pacs/2019/7-1. With more than 25 years of innovation and 1,800 installations, Sectra is a leading global provider of imaging IT solutions that support healthcare in achieving patient-centric care. Sectra offers an enterprise imaging solution comprising PACS for imaging-intense departments (radiology, pathology, cardiology, orthopaedics), VNA, and share and collaborate solutions. Read more about Sectra and why Sectra PACS is “Best in KLAS” for a sixth consecutive year at http://www.sectra.com/medical/.